Successful sustainable development requires dynamic and inclusive strategic partnerships that involve a variety of stakeholders. 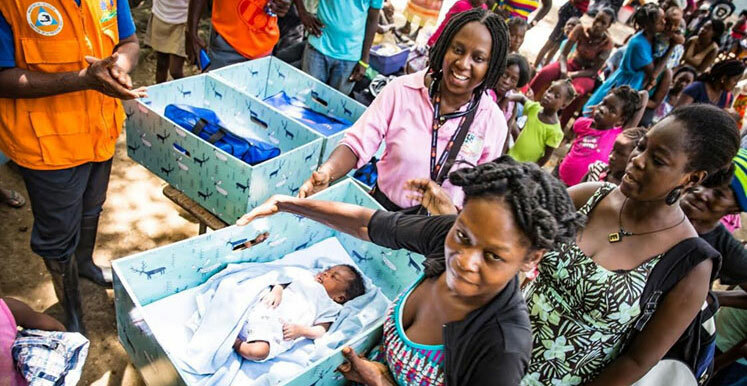 UNFPA works to develop partnerships that create shared opportunities and leverage on partners’ added value, to support the mandate of the Organization in achieving universal access to sexual and reproductive health and rights, reduce maternal death and improve the lives of adolescents and youth. The Organization is engaged in collaborations with stakeholders including the business sector, foundations, parliamentarians, civil society, academia and scientific institutions, as well as individuals and multi-stakeholder initiatives to make every partnership unique and ensure support to UNFPA’s programs. Business sector - including national and multinational corporations, small and medium-sized enterprises and corporate foundations - are key stakeholders to public-private-partnerships. They can provide financial resources, competencies, knowledge & innovation and can help increase the visibility of UNFPA’s work. Independent philanthropic foundations - are a key source of additional funding and can support the visibility of UNFPA’s work as well as support the creation of an enabling environment. Parliamentarians play a key role in supporting policies, legislative and accountability frameworks of Governments, in the implementation of the ICPD Programme of Action within the 2030 Agenda. Civil Society Organizations include a range of formal or informal stakeholders, such as International and national non-governmental organizations; community-based organizations; philanthropic foundations; faith-based organizations; advocacy groups; trade unions; women's groups; professional voluntary associations. Academia and scientific institutions play an important role in the advancement of SDGs and are thought leaders on innovation, providing knowledge and skills to support UNFPA’s activities. High Net Worth Individuals can provide resources to UNFPA, as well as influence opinions and trends and speak in support of the Organization’s mandate and work. Individuals can facilitate a conducive environment for UNFPA’s issues and participate in fundraising initiatives. « J'ai eu honte d'être une fille et je l'ai vécu comme une punition », se souvient Faith, 13 ans, à propos de ses premières menstruations.